Come autumn, Greece’s country roads and sometimes even its city streets are strewn with spike-covered balls. Some split open to reveal a glistening brown chestnut. You’ll be tempted to gather them, but wear gloves if you do – their spikes are needle sharp. An excursion to celebrate their season brings many other pleasures with it. Join us on a rewarding Greece’s Autumn Treasure escape. One of the best places to experience the wealth of the season is in the Peloponnese. Majestic Mt. Parnonas, located between Laconia and Arcadia, is known for its dense forests of chestnut trees and oak trees on its lower slopes. It’s also known for much more: the Peloponnese abounds in natural, historic, and archaeological wealth. The Peloponnese has been inhabited since pre-historic times. Some of the villages are built in the sites of ancient cities, and in some relics of the Bronze Age have been found. But the history most in evidence is that of the Middle Ages. The Peloponnese is full of romantic Frankish castles and other ruins from the crusades. If you’re hoping for lunch, you’re out of luck- Geraki has not been inhabited for a long time. But as an archaeological adventure, this is truly a special treat, awash in the heritage of the Middle Ages, the era of knights and crusades. Once the Barony of Gerkai- a Frankish fiefdom established by the crusaders in the early 13th century, it has a fine fortress, built near the site of the ancient city of Geronthrae. This is a protected archaeological site now, and one that is very much off the beaten track, adding to its charm. These are among the region’s most atmospheric ruins — those of the castle and several churches. There is a climb to reach it, and you’ll be glad of having good footwear. The euphoniously named Tzintzina (also called Polydroso), on the sloped of Mt. Panornas, is extremely popular as a starting point for hikes, just the thing to take in the majestic scenery, and build up an appetite for rustic and refined mountain cuisine. 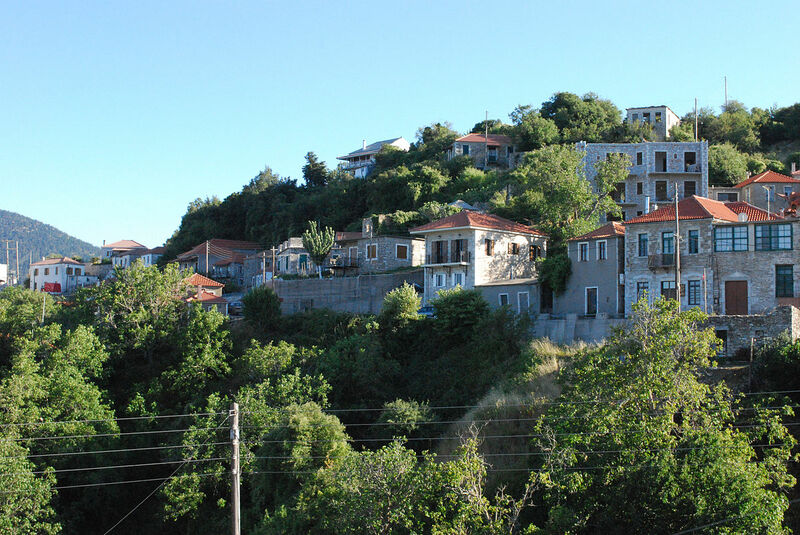 At a glorious elevation of 1,150 m on the mountain’s southeastern slope is a village referred to as the “balcony of Kynouria” owing to its sweeping views. 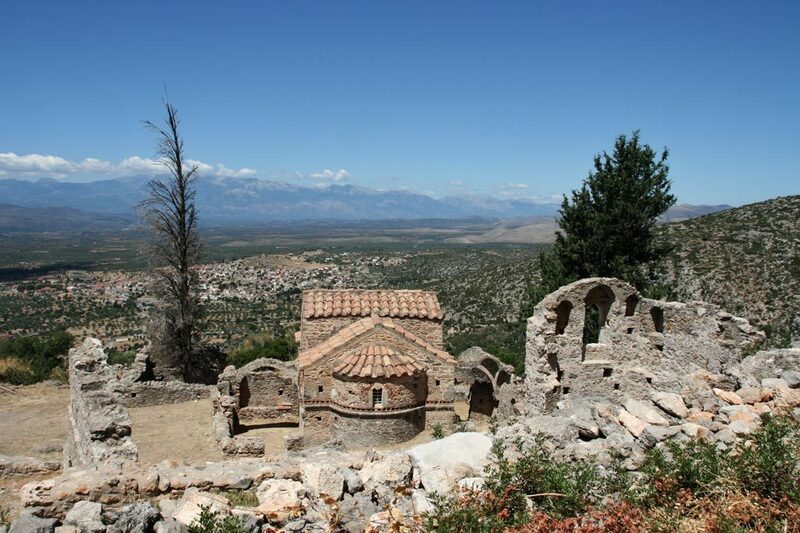 One of the region’s best known villages, this was once known as the ancient city of Selinous; today, it’s the village of Kosmas, known for its traditional architecture and charm, and its proud history, playing a role in the Greek War of Independence. Today, enjoy its picture-perfect cobbled town square, shaded by chestnut trees. Traditional tavernas offer fine mountain cuisine. The architectural integrity is completely intact in its classic stone buildings with tiled roofs. Ano Doliana is another village of high elevation- at 1,050 m up the mountain’s northern slopes, it looks out over the plain of Tripoli. The requisite plane tree in a charming village square, convivial traditional cafes and tavernas are among the village’s charms. 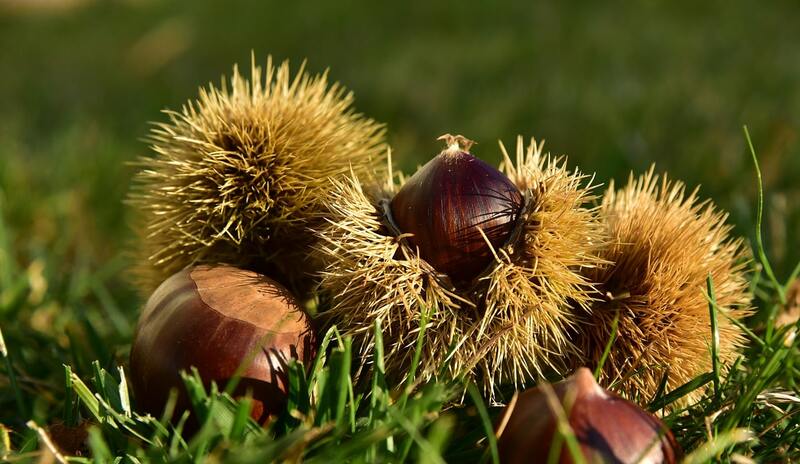 The Greek word for chestnut is “kastana”- and the suffix “-itsa” means little. 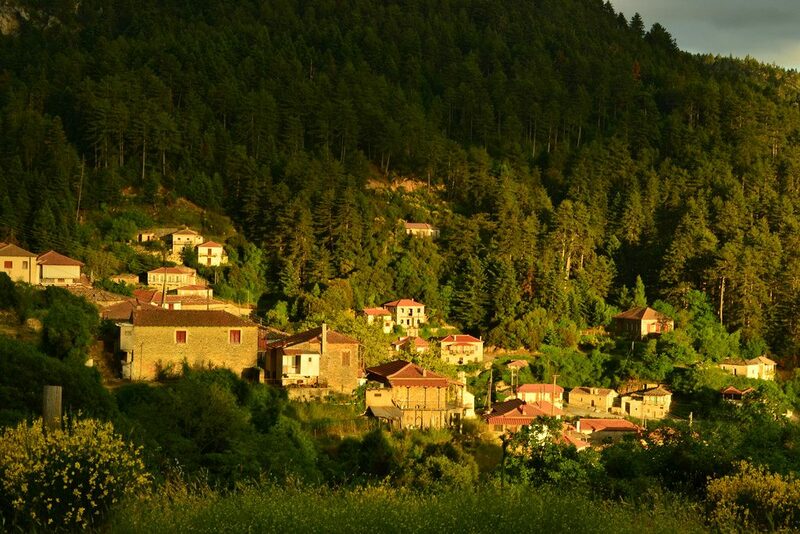 Kastanitsa is what you imagine- a darling village, swelling with chestnuts. 850m up on the southern slope of Mt. Parnonas, Kastanitsa’s houses are made of local stone and their roofs are slate (slate withstands the winter frosts well); its traditional architecture have made it a local heritage site. The village celebrates its namesake each autumn with a chestnut festival. Those who are used to thinking of chestnuts as a snack, roasted over the coals and eaten in city streets or lounging by the fire at home, will be astonished to see the variety of preparations they are suited for. In addition to the classic preparations as spoon sweet, jam, spreads, and lending their characteristic rich autumnal flavor to breads and cakes, they are a toothsome, rich accompaniment to meats. Kastanitsa is known for yet another interesting thing. The majority of its residents at one time spoke not Greek, but Tsakonian. This was the language. The Tsakones were the local tribe who founded this village high on the mountain while fleeing Slavic tribes who had invaded the Peloponnese. The origin of Tsakonian is intriguing- the language has its roots in the ancient Doric language. Few speak it today. 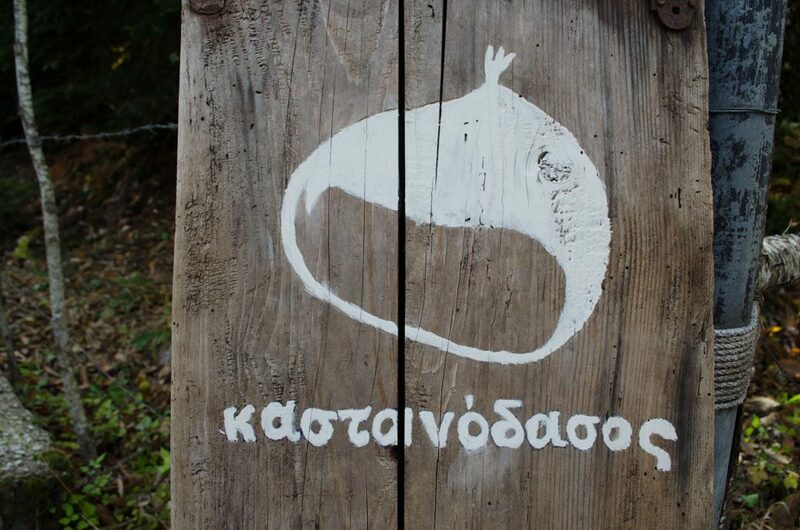 If you do go to Kastanitsa, make sure not just to taste their culture, but listen for it, in the sounds of Tsakonian you may be fortunate enough to hear. 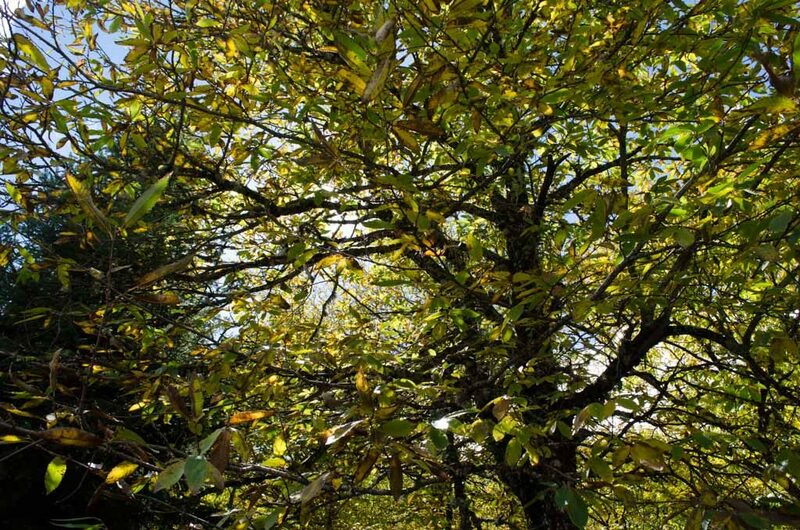 We hope that you enjoyed reading about Greece’s Autumn Treasure – chestnuts! Have you ever travelled to any of Greece’s small and enchanting mountain villages, or attended a traditional Greek village festival?